Earlier this year, Android was acknowledged as the second most preferred mobile OS, just behind Apple and Blackberry. 77 million of the approx. 350 million smart phones that were sold in the year 2011 were devices that were powered by Android such as the Motorola Droid X, Samsung Galaxy S and the HTC. And, the numbers are expected to enhance significantly this year. Although more and more enterprises are trying and working on devices and technologies that are supported by Android, security remains a primary concern for all the devices supporting Android. This post takes a look at five of the most common security concerns of Android phones and the solutions that should be employed to resolve them. The major concern for any device is that of losing it. In a survey, 60% of tablet and smartphone users have fear of not recovering lost content. iPhone users who employ the services of Apple can restore almost everything via iTunes, but the Android users cannot do it through the desktop sync. Losing data can be avoided in two ways. Initially you can install the backup application, which will help you to restore the entire data you need. Secondly, you can enroll the device with one of the tracker services. If your device gets into the hands of wrong people, they can abuse your VPN connections, read your mails and ring up the fees of your SMS. By employing the remote locking facility and apps you can secure your device. 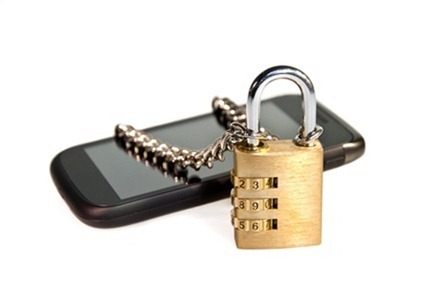 One of the high risks that Android devices pose is the lack of the data encryption system. To avoid data theft it is essential that you lock the applications and reset the Android to the factory defaults. If you are of the view that surfing on your Android is totally safe then its a wrong assumption. Last year, M.J. Keith provided a demo of the browser vulnerability which can be exploited via Android 2.1 or 2. There was also a report by Thomas Cannon which stated that a browser flaw in Android 2.2 can give hackers with full access to your SD cards. One of the effective ways to counter it is by having the safety filter on and to employ the services of apps like Trend Micro or Bad Link Checker which will help you in avoiding malicious sites. In the world of Android, differentiating your foes and friends can be a very hard thing. According to a recent survey, the development of Android apps nearly tripled over the last year. Amongst them 30% of the apps enquires about the location of your device, whereas 7.5% asks for access to your contacts. Is it really necessary that applications should have all this information? Avoid installing such applications as it can redirect your personal information somewhere else. Android Users – be cautious while executing and installing apps. Avoid apps that ask for excessive personal information and be mobile safe. I am John S Lam from Test4Prep; it gives 100% Cisco 642-691 exams. Let’s take benefit of Cisco 642-902 Exams material efficiently and get guaranteed success. Check out free demo of all certifications Exam.